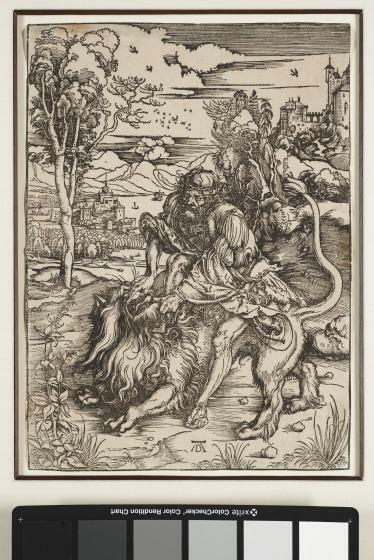 Page from "Book of Hours"
Samson Killing the Lion is one of Dürer's most accomplished early woodcuts. The fine detail and rich shadows very nearly equal the technical qualities of an engraving. 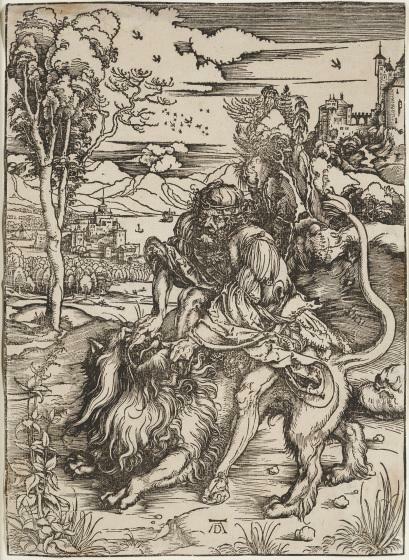 Illustrating a story from the Book of Judges, Dürer's woodcut depicts the biblical hero Samson weaponless astride the lion's back.